Don't fear him but he sure seems to be putting in a lot of hours lately. 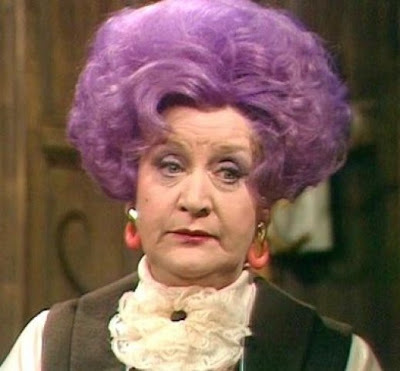 Rest in Peace Mrs. Slocombe. I didn't realize she had passed on (too). The Grim Reaper certainly appears to be working overtime! I always felt she was so perfect for the role she played. She was perfect as Mrs. Slocombe and Are You Being Served? will live on forever in a fitting tribute.